Located across from the Student Parking lot of Anderson H.S. Our comfortable office features state-of-the art technology. 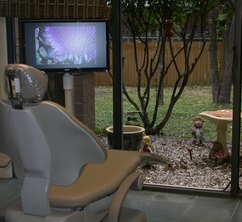 We are equipped with digital X-rays, digital intra-oral cameras and a wonderful surround sound system. At Dental Arts by Lena,we want you to leave our office looking good and feeling healthy. We are a family oriented dental office that provides comfortable, professional dental services to patients of all ages. Your dental and oral conditions play a key role in your overall health. All of your dental services are provided in a warm, caring environment. Each patient’s room overlooks a beautiful and peaceful nature sanctuary full of beautiful trees and birds of all kinds. To keep the spa environment going, at the end of your dental visit, we provide you with a warm, moist Lavender scented towel to help you moisten your facial muscles and cleanse your hands and face upon leaving our office. 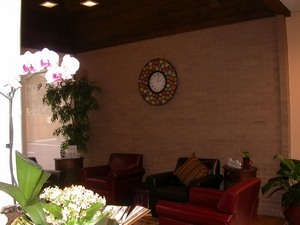 Looking forward to seeing you soon in our Zen dentistry environment! Austin, Texas Dentist, Dr. Lena Salha is dedicated to family dentistry such as Exams, Teeth Whitening, Veneers and more.